When we first moved here, one June, one of the first events we attended was the annual Summer Solstice parade and celebration, which is wild and wacky and fun and I thought - what a great place, that celebrates the beginning of my favorite season in such a big way. Cleopatra is said to have served wine with ground pearls in it to her more important guests and Lucifer to have broken his teeth because of his craving for pearls. 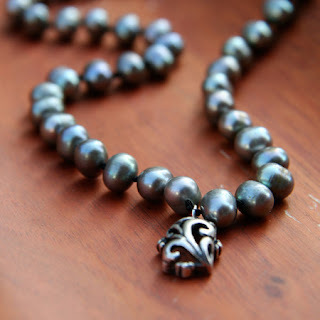 Early Chinese myths told of pearls falling from the sky when dragons fought. Ancient legend says that pearls were thought to be the tears of the gods and the Greeks believed that wearing pearls would promote marital bliss and prevent newlywed women from crying. 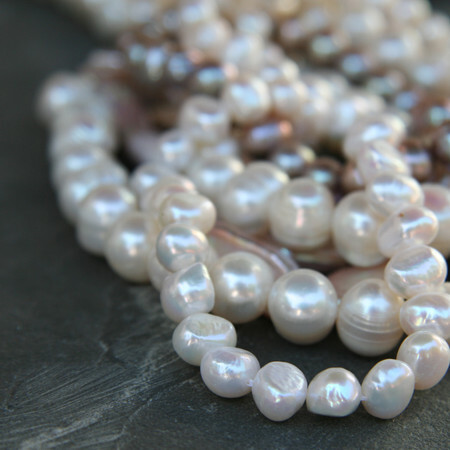 Arabic legend says that pearls were formed when dewdrops filled with moonlight fell into the ocean and were swallowed by oysters. In Western culture, pearls symbolize innocence and purity. They are told to promote faith, charity and integrity, especially personal integrity. They are believed to enlighten the mind and inspire the mood, while helping the wearer to learn to love herself more and, in turn, help her love others more, as well. 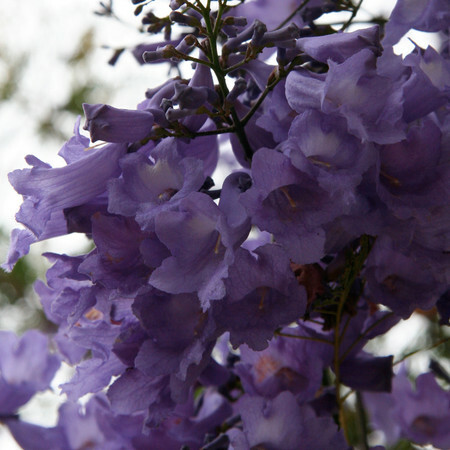 Thank you to Judi Muller for sharing this lovely blog post with us. 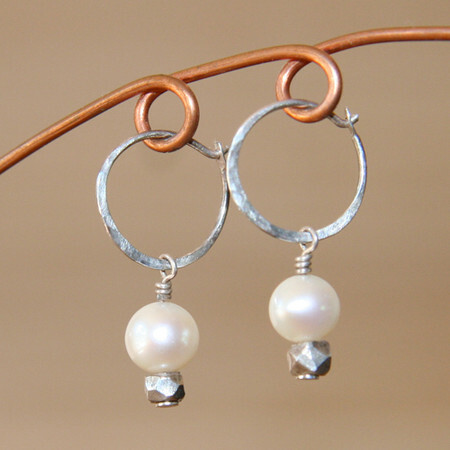 To view more of her beautiful work with pearls, visit her shop on Zibbet!